I was listening to Pink’s song – You Are Perfect – the other day and thinking about unconditional love. Check out the YouTube video for this song. I’ve given you a version with cleaned up lyrics. I’m going to throw out a couple of thoughts that occurred to me when I was listening. In this world, no one is ever going to love you unconditionally (and by that, I mean – think you’re perfect) except (maybe) your mom (I can’t speak for dad’s here.) And even your mom isn’t a guarantee. Some moms never felt a bit of unconditional love when they were growing up and now (sadly) they’ve got the equation upside down and they’re trying to get that feeling from wherever they can – maybe even from their own children. No one ever told them they were perfect. Your partner (husband, wife, significant other) is not going to love you unconditionally and think you’re perfect (and sad for you if you don’t find that out until you’ve gone through a few of them), your kids – give it up (if you think they do, think again – what may look like unconditional love in the early years is a survival mechanism). OK – maybe your dog, but do consider the whole issue of evolutionary bonding for survival of a species before you get too excited about that dog. And if you think you’re cat loves you unconditionally – seek help! When it comes to unconditional love, it’s going to be your mom (maybe your dad or whoever your primary caregiver may have been) or no one at all (some of you might get lucky with an older sister or aunt – can’t rule that out). I was lucky enough to have a mom who could love – oh, don’t get me wrong, she had her ways of guilting me out and driving me insane, but she loved unconditionally. She was in my corner, she was there for me. A mom who loves like this will always have time to hear about your joys and sorrows. Her love of you will transfer a hundred times over to your children and she’ll want to hear every little thing about them, just the way she wants to know everything about you. That love will even flow over to whatever partner you’ve chosen – regardless of what anyone else has to say about him or her. Your mom will listen to you talk endlessly about your job when she understands little of what you’re saying. She’ll be interested in your friends, your hobbies and even your dog or cat – (or God forbid, pet rat or other smelly type of rodent creature you’ve latched onto) forget the fact that she might have allergies and a real aversion to animals in the house. She’ll understand if you forget her birthday or mother’s day, she’ll treasure even your most lukewarm gestures of benevolence toward her, she’ll push herself beyond what she thought she was capable of to be there for you. When you listen to this song by Pink – I hope you are lucky enough to have a mom who thinks you’re perfect – because you are! For all the moms out there, I’m going to close with a quote from Isabele Allende – one of my favourite authors. Accept the children the way we accept trees – with gratitude, because they are a blessing – but do not have expectations or desires. You don’t expect trees to change. You love them as they are. Way too early here for the Apple tree to be in blossom, but I couldn’t resist – it’s one of my favourite trees – just the way it is! 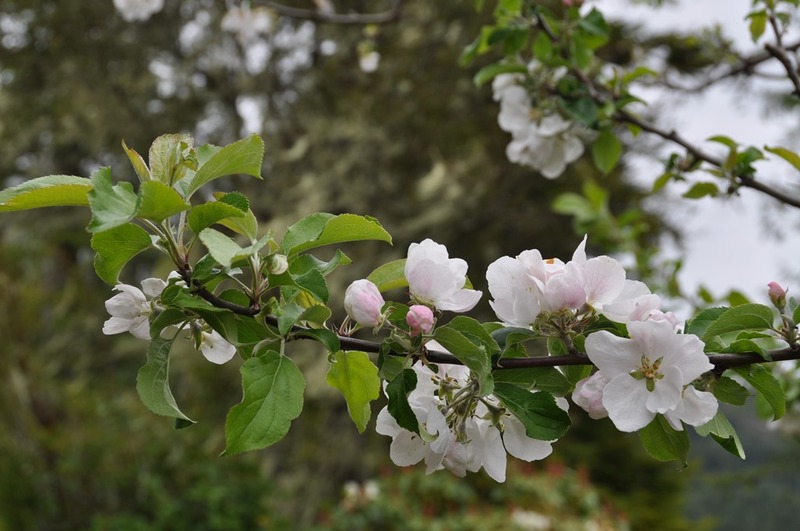 This entry was posted in Gardening, Life, Quotes, Teaching, Writing and tagged apple blossoms, Isabele Allende, mother love, Pink, unconditional love, You Are Perfect. Wonderful post Francis! Love is beautiful thing.